A J-10C fighter jet attached to an aviation brigade of the air force under the PLA Southern Theater Command deploys its drogue parachute to slow itself after landing at a military airfield during a live-fire training exercise at a military airfield in southwest China on April 12, 2019. 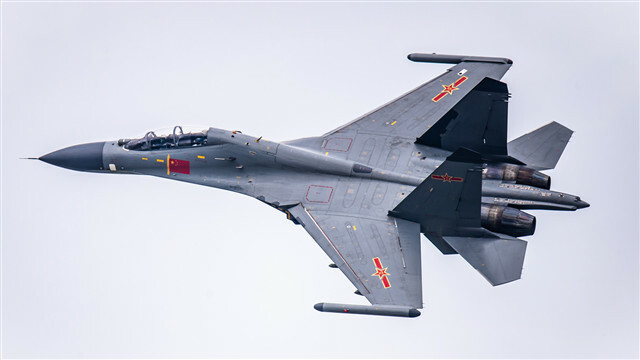 A fighter jet attached to an aviation brigade of the air force under the PLA Southern Theater Command performs aerial maneuver during a flight training exercise on April 10, 2019. 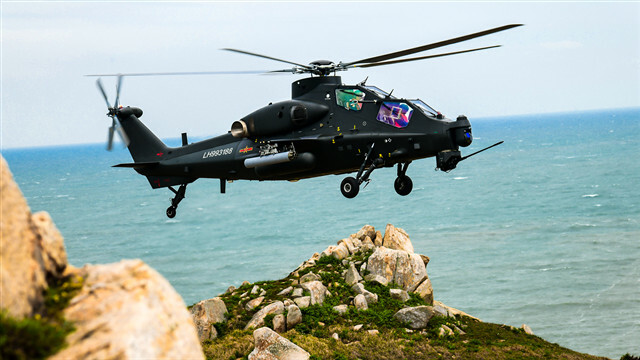 A WZ-10 attack helicopter attached to an army aviation brigade under the PLA 73rd Group Army flies at an extremely-low altitude above the reefs during a maritime defense penetration training operation on April 15, 2019. 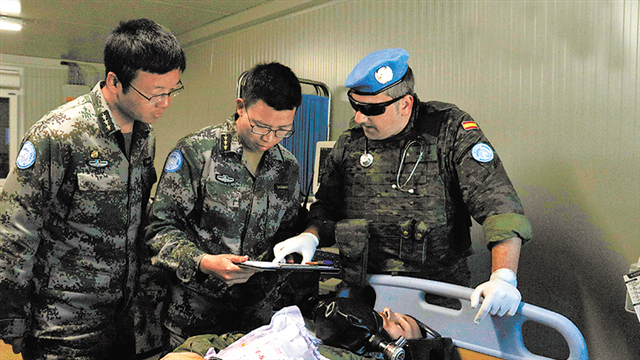 Chinese medical peacekeepers share patient information with their foreign counterparts between shifts during a UNIFIL medical emergency rescue drill. 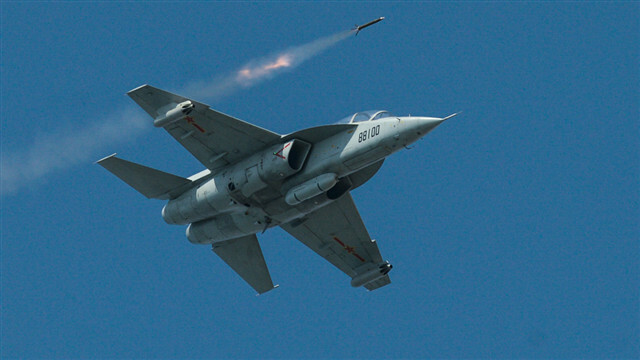 A fighter jet attached to the PLA Naval Aviation University fires rockets at mock ground targets during a live-fire training exercise for new pilot cadets in northeast China’s Liaoning Province from April 10 to 12, 2019. 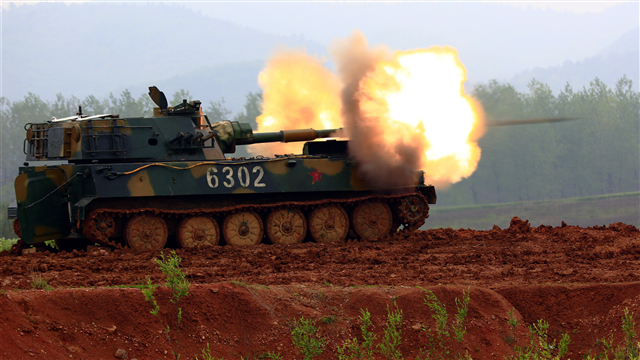 A Type PLZ-89A 122mm self-propelled howitzer system attached to a brigade under the PLA 72nd Group Army fires at mock target during a live-fire training exercise in east China in early April. 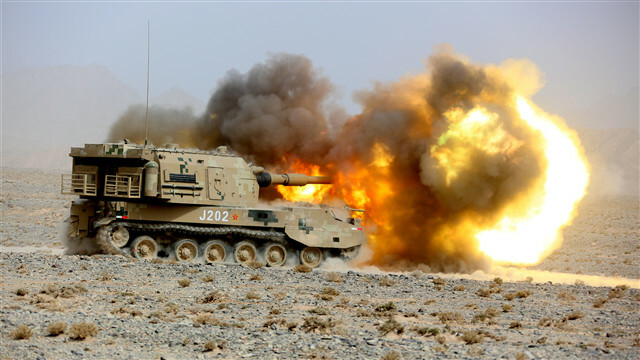 A gun-howitzer system attached to an artillery regiment under the PLA Xinjiang MC spits fire down range against mock targets during a field live-fire operation in west China’s Xinjiang Uygur Autonomous Region on April 9, 2019. 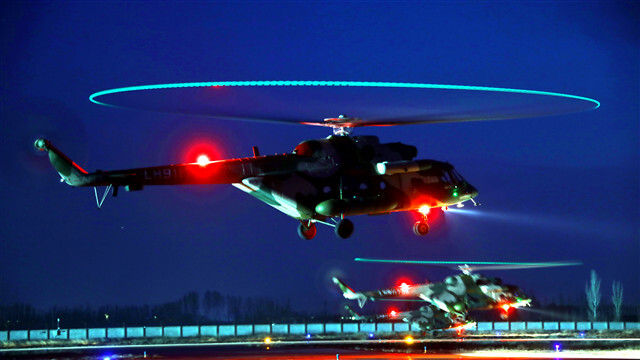 Mi-171 transport helicopters attached to an army aviation brigade with the PLA Xinjiang Military Command lift off at night for a recent round-the-clock flight training mission in desert area of northwest China's Xinjiang Uyghur Autonomous Region. 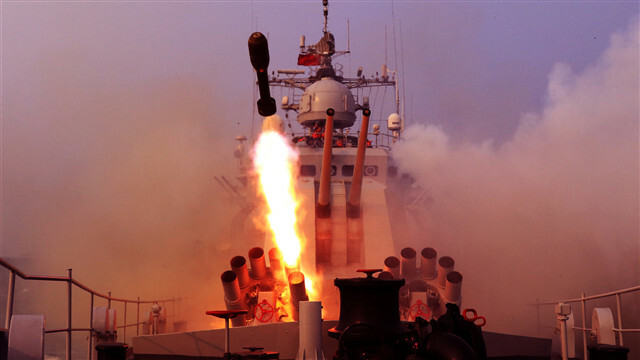 The guided-missile frigate Zhaoqing attached to a frigate flotilla with the navy under the PLA Eastern Theater Command fires its rocket-propelled depth charges at mock sea targets during a maritime realistic exercise in waters of the East China Sea in early April, 2019. 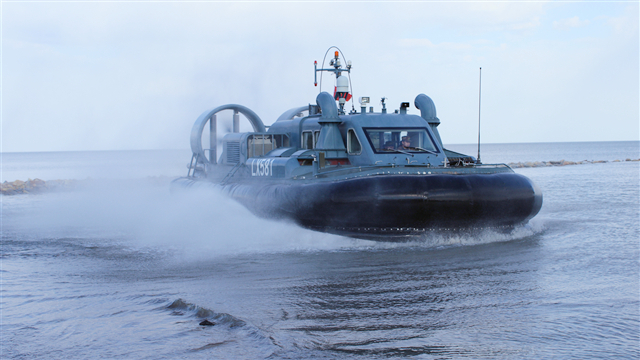 An air cushioned patrol boat attached to a patrol boat group of a frontier defense brigade under the Chinese PLA's ground force performs its first patrol mission recently in waters of Xingkai Lake, a China-Russia border lake in north China's Heilongjiang Province. 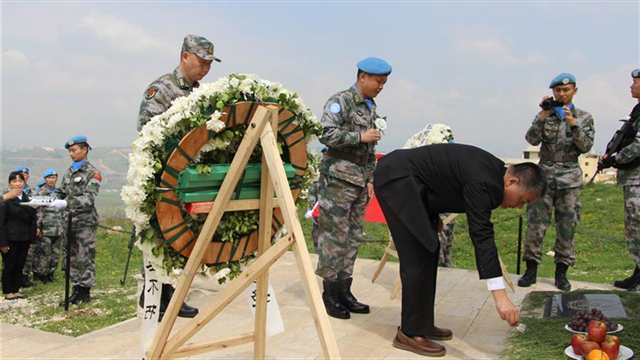 Chinese Ambassador to Lebanon Wang Kejian and Chinese peacekeepers from the United Nations Interim Forces in Lebanon pay tribute to Chinese martyr Du Zhaoyu on the occasion of Qingming Festival in Khiam, Lebanon, April 5, 2019. 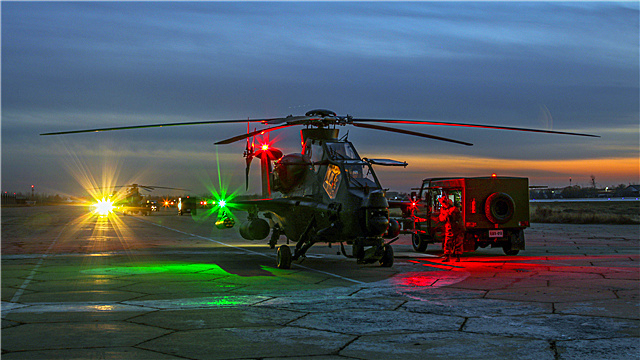 Multi-type attack helicopters attached to an army aviation brigade under the PLA 72nd Group Army lift off from the parking apron during a night flight training exercise on April 3. 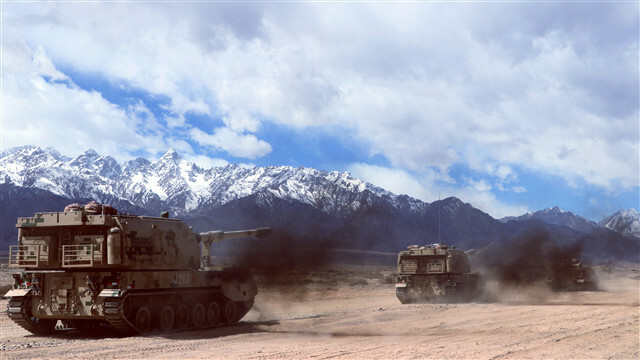 Multi-type armored vehicles attached to an artillery regiment under the PLA Xinjiang MC are en route to a designated training field in west China’s Xinjiang Uygur Autonomous Region to conduct rapid maneuver operations in complex conditions on April 4, 2019. 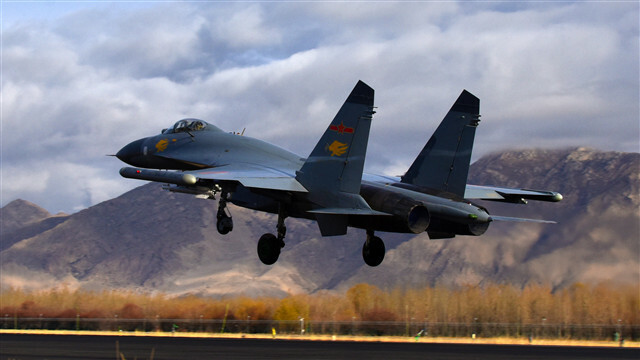 A J-11 fighter jet attached to an aviation brigade of the air force under the PLA Western Theater Command takes off for an air combat training exercise at low temperature on April 1st ,2019. 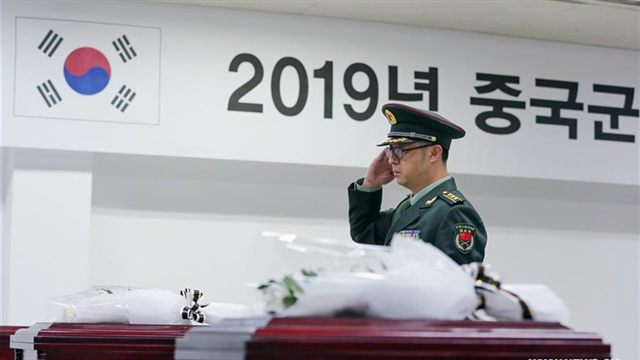 The remains of more Chinese soldiers killed in the 1950-53 Korean War will be returned to China from the Republic of Korea on April 3, 2019, according to China's Ministry of Veterans Affairs . 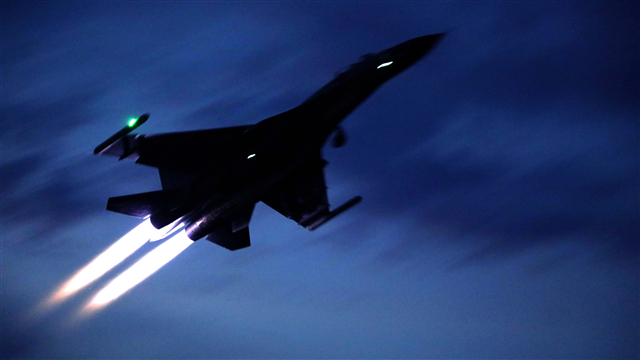 A Su-30 fighter jet attached to an aviation brigade of the air force under the PLA Southern Theater Command soars into the sky during a combat sortie during a night combat sortie on March 20, 2019. 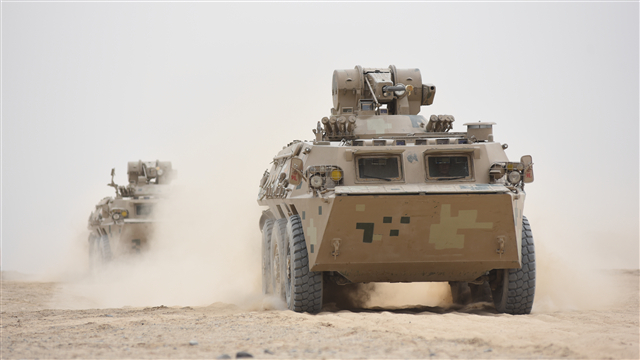 A convoy of Type-92 wheeled infantry fighting vehicles (IFVs) attached to a mechanical infantry regiment under the PLA Southern Xinjiang Military Command (MC) is en route to a designated training field on March 30, 2019. 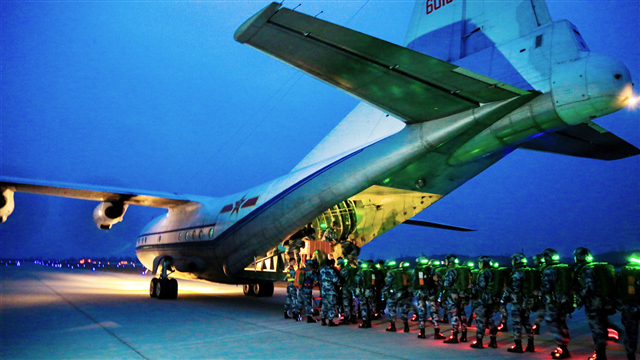 Paratroopers assigned to a brigade under the PLA Air Force's airborne troops prepare to board a transport aircraft for a round-to-clock parachute training exercise in middle March, 2019. 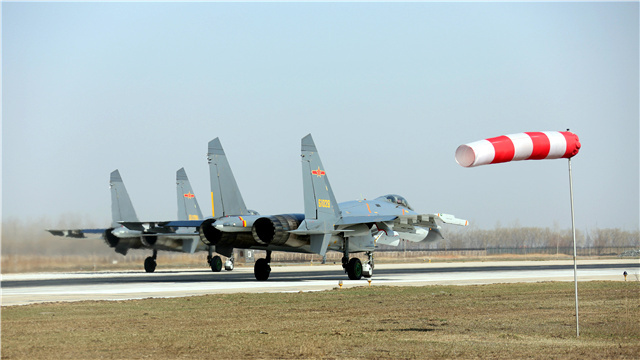 Two fighter jets attached to an aviation brigade of the air force under the PLA Northern Theater Command await approval to take off at a military airfield during a course-changing flight training exercise on March 27, 2019. 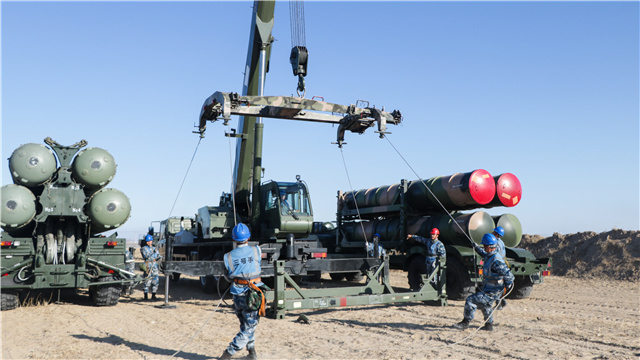 Airmen assigned to a surface-to-air missile brigade of the air force under the PLA Northern Theater Command operate a crane to hoist and load air-defense missiles during a realistic training exercise in late March, 2019. 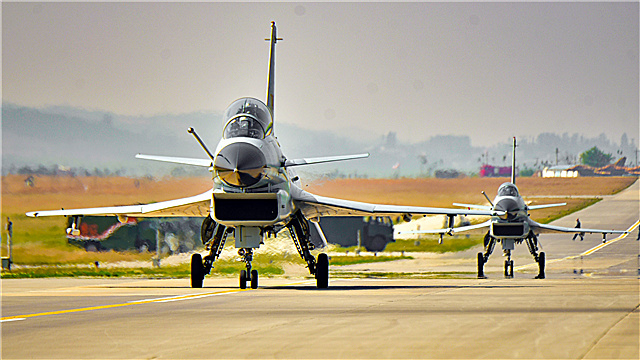 Two J-10 fighter jets attached to an aviation brigade of the air force under the PLA Southern Theater Command taxi to the ramp at a military airfield before takeoff for a round-the-clock flight training exercise on March 26, 2019. 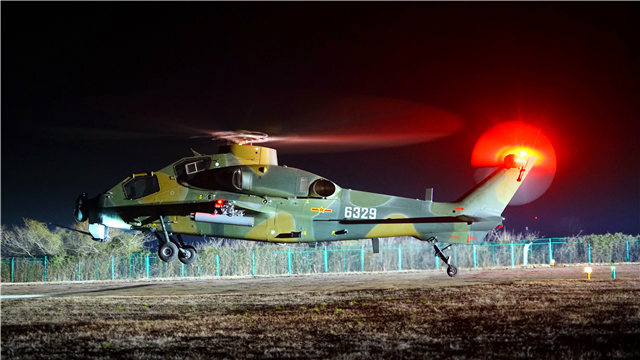 A WZ-10 attack helicopter attached to an army aviation brigade under the PLA 81st Group Army receives power-on inspections prior to a recent night flight training exercise. 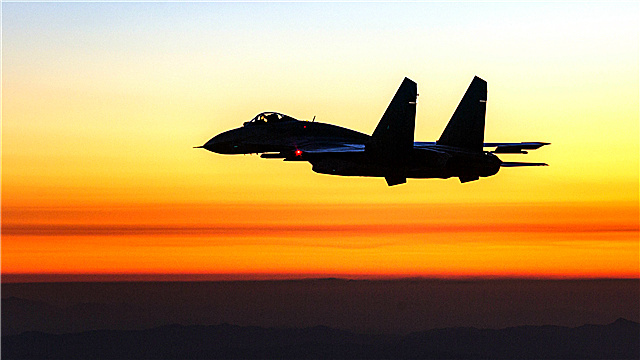 A J-11 fighter jet attached to an aviation brigade of the air force under the PLA Northern Theater Command flies through the clear sky during a flight training exercise in complex weather on the early morning of March 22, 2019. Soldiers in protective clothing rush to the core area of the explosion on March 21st, 2019. 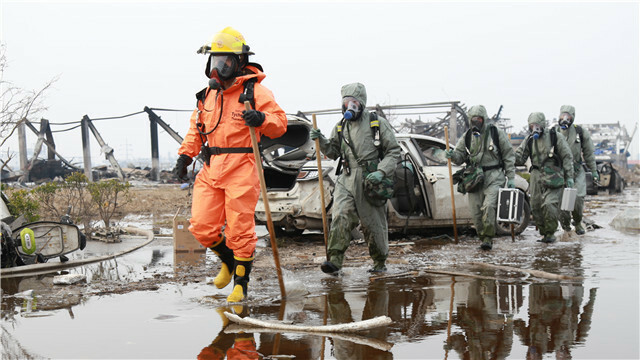 They are assigned to the engineer and anti-chemical detachments under the People's Armed Police Force（PAPF）in east China’s Jiangsu Province. 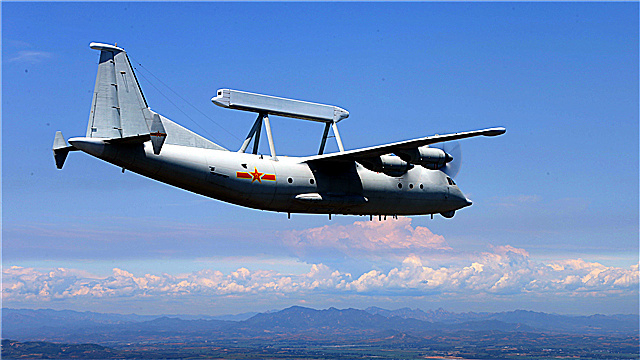 A KJ-200 airborne early warning (AEW) aircraft attached to an aviation division with the navy of the PLA Northern Theater Command flies in the sky during a round-the-clock flight training exercise in late March, 2019. 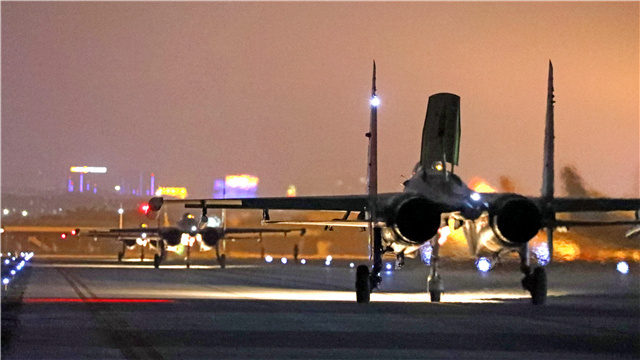 Fighter jets attached to an aviation brigade of the air force under the PLA Southern Theater Command taxi in line on the flightline before takeoff for a round-the-clock combat sortie on March 20, 2019. 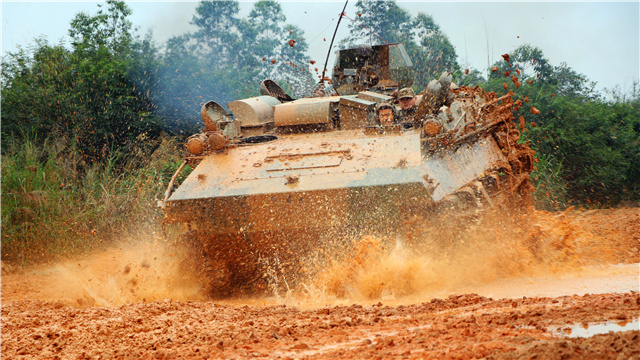 An armored personnel carrier attached to a brigade under the PLA 73rd Group Army wades through a mud puddle during a field driving skills training exercise on March 18, 2019. 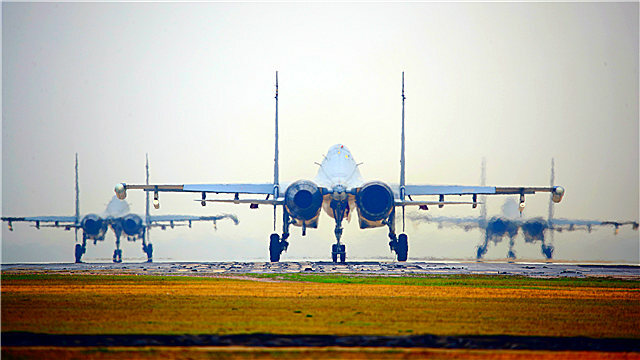 A JH-7 fighter bomber taxies onto the flightline after receiving the approval to takeoff during a recent flight training exercise at Hulun Buir Grassland in north China's Inner Mongolia Autonomous Region. 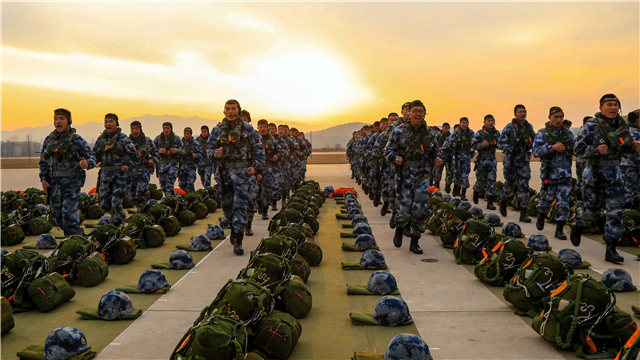 Paratroopers assigned to a brigade under the PLA air force's airborne troops prepare to pack their parachutes for a parachute training exercise on March 15, 2019. 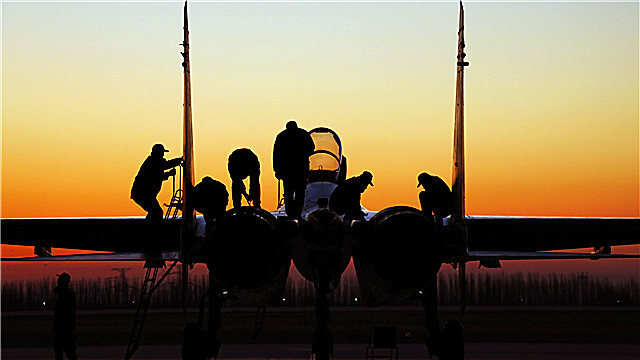 Maintenance men assigned to an aviation brigade of the air force under the PLA Western Theater Command perform a preflight systems check before launching a fighter jet for an early morning training sortie on March 15, 2019. 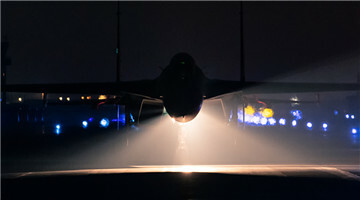 A J-11B fighter jet attached to an aviation brigade of the air force under the PLA Eastern Theater Command taxis on the runway before takeoff for a night flight training exercise on March 12, 2019. 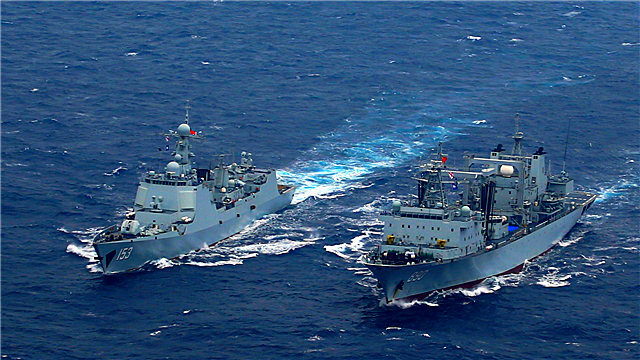 The guided-missile destroyer Xi'an (Hull 153, L) and the comprehensive supply ship Chaohu (Hull 890, R) steam alongside with each other in preparation for a replenishment-at-sea during a recent maritime patrol mission in waters of the East China Sea. 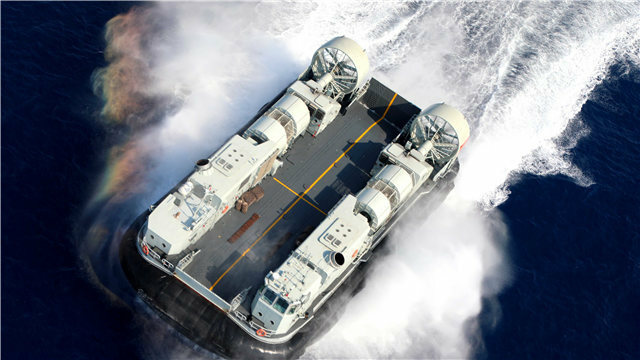 Landing Craft Air Cushion steams in waters off the Xisha Islands during the maritime coordinative training from March 6 to 11, 2019. 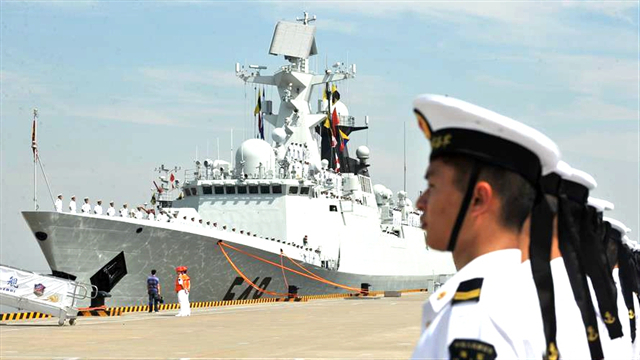 It is China’s independently developed high speed medium amphibious landing craft air cushion. 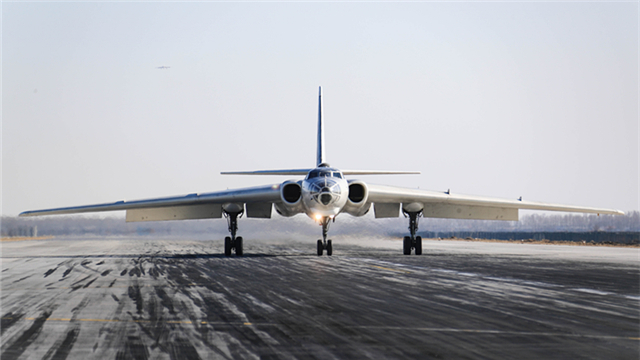 An H-6 bomber attached to a brigade with the PLA Air Force Harbin Flight Academy taxies down the runway after landing during a flight training exercise on March 6, 2019. 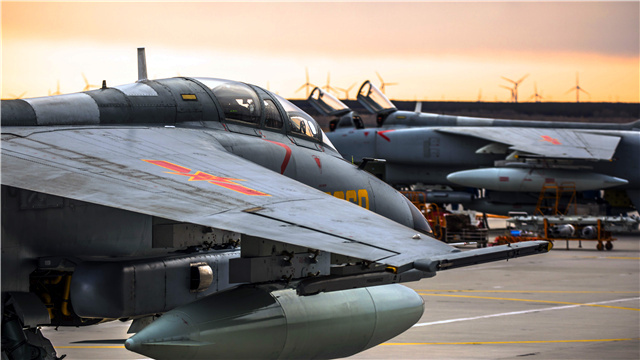 Fighter jets attached to an aviation brigade of the air force under the PLA Eastern Theater Command await approval to takeoff from a military airfield for an air battle drill on March 8, 2019. 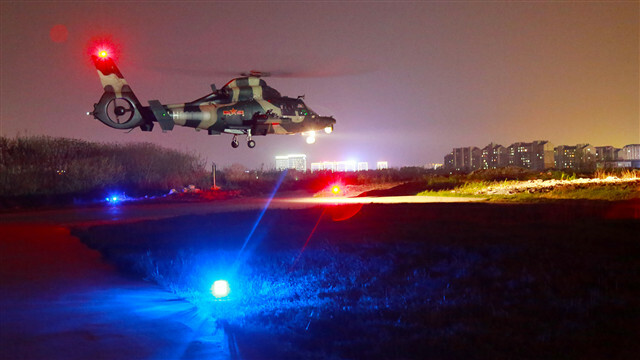 A WZ-10 attack helicopter attached to a helicopter regiment with a PLA airborne brigade lifts off from the parking apron of an airbase for a round-the-clock flight training mission on March 6, 2019. 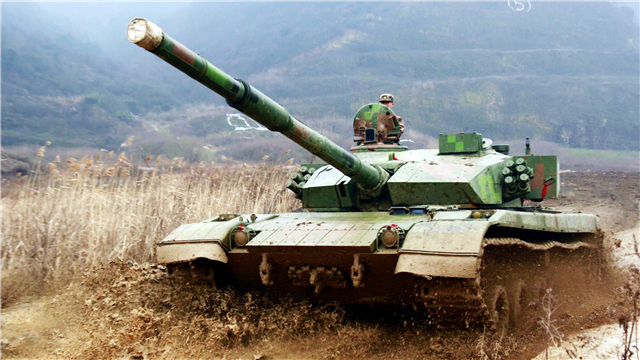 A Type-96 main battle tank (MBT) attached to a brigade of the 72nd Group Army under the PLA Eastern Theater Command passes through a shallow trench during a driving skills training exercise from March 5 to 6, 2019. 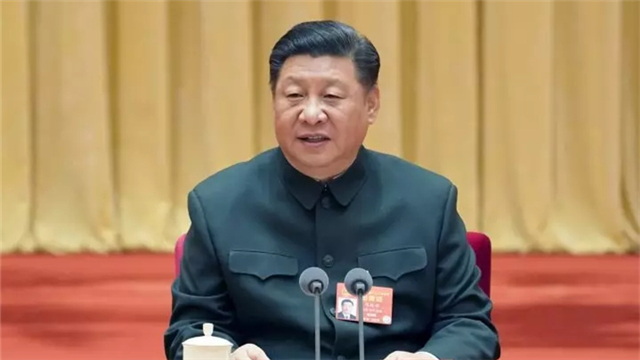 Chinese President Xi Jinping attends a plenary meeting of the delegation of the Chinese People's Liberation Army (PLA) and People's Armed Police Force (APF) to the second session of the 13th National People's Congress (NPC) in Beijing on March 12, 2019. 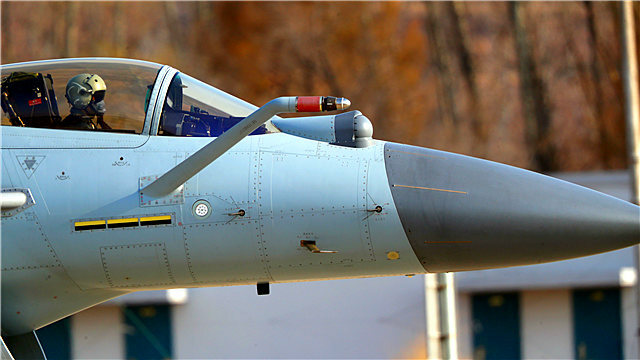 A pilot assigend to an aviation brigade of the air force under the PLA Northern Theater Command taxies his J-10 fighter jet to the runway before takeoff for a recent round-the-clock flight training exercise.